Networking and cooperation on invasive alien species (IAS) in different scales is crucial for the collection, harmonisaiton, standardisation, management and sharing of sufficient, high-quality and up-to-date scientific information. Recently, several joint research projects have been implemented in order to collect and analyse IAS data at regional level. The largest project conducted by the ESENIAS countries is the ESENIAS-TOOLS project: East and South European Network for Invasive Alien Species – A tool to support the management of alien species in Bulgaria (2015-2017). This project aimed at networking and development of IAStools to support the management of alien species in Bulgaria and in the overall region. Some of the outcomes of the ESENIAS-TOOLS project include:compilation of lists of alien species; collection of data on alien marine, freshwater and terrestrial plants, fungi and animal species; and prioritisation of species and preparation of lists of priority species for the ESENIAS region.The project ‘Potential threats to environmental and economic sustainability in the Danube and Black Sea Region: Danube River as invasive alien species corridor’ has been conducted since2012, by the IBER-BAS, and supported by the International Association of Danube Research (IAD), ESENIAS, and recently by DIAS. Another DIAS project was implemented in the period 2016-2017: Pilot-study (data collection) on invasive alien species in the Danube Region with a smartphone application developed by the Joint Ressearch Centre (JRC) (Danube-IASapp project). The practical use of the smartphone applicationwas tested by gathering of data on invasive alien species of EU concernto assist in monitoring and early detection of IAS in the Danube River basin. The achieved results and data within these projects will be further analysed and managed by the newly developed tools, and thus, will contribute to implementation of the existing IAS instruments and development of the Danube Region IAS strategy and workplan. Management and sharing of IAS data – IAS networks and information systems, databases, data planning and management. 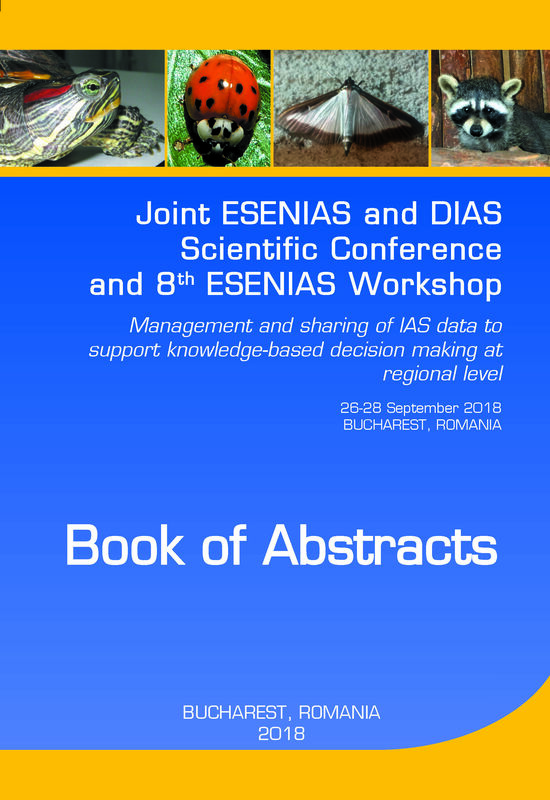 Management and sharing of IAS data will be also the main topic of the 8th ESENIAS Workshop. Possibilites for extending, maintanance and improvement of the ESENIAS database will be discussed at a brainstorming session. Authors are invited to submit their contributions related to one or more of the scientific topics given above. The scientific presentations will be oral or poster. Each presentation should indicate the most appropriate topic. The number of scientific contributions by an author is limited to two. All contributions will be reviewed by the Scientific Committee. The Scientific Committee reserves the right to change the scientific topic and form of presentation (oral/ poster) in case of thematic consideration or timing.